Nokia HERE maps was available only on the Windows Lumia Phones. 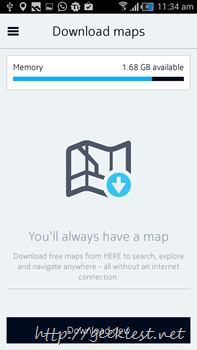 This application let you download the maps of a specific region and can be used even with out a data connection. 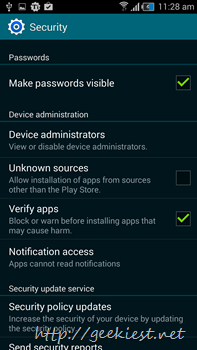 Now Samsung is bringing this application to Samsung galaxy devices. You can get this application from this link (if you are a Galaxy phone user and have Samsung apps in your phone). 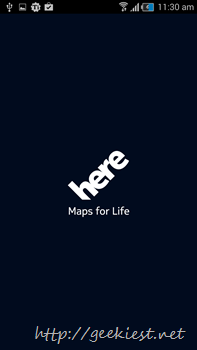 Nokia will be releasing the HERE for iOS and all Android devices officially. To use the HERE app you need not to register an account, but if you have an account there are additional benefits like creating collections, Access from any device etc. 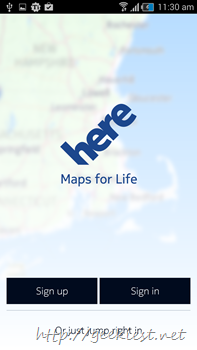 Nokia HERE Maps are available for Android devices.